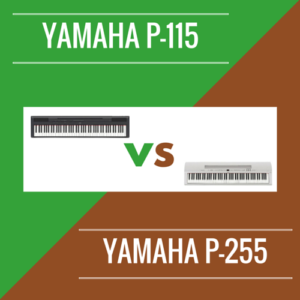 You are here: Home / Yamaha Digital Pianos / Yamaha P-115 vs Yamaha P-255: Which is Better? When the Yamaha P-115 came out, it was a wonderful portable, professional digital piano – and it still is. I had a great time testing out the sounds and comparing it to its predecessor (the P-35), as well as comparing it to the the P-45. While they were both great pianos, after a side-by-side comparison, the P-115 came out on top in my view (which isn’t too unexpected, there is a reason why Yamaha charges more for the P-115 after all). 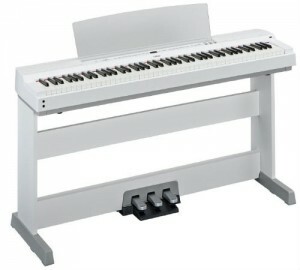 In the end, it is a better digital piano all around and would be great for professionals and everyday performers alike. But there are probably many people itching for a different kind of comparison. Sure, you may say, the P-115 stacks up well against the “meager” P-45. But how does the P-115 hold up when compared to something like the P-255. 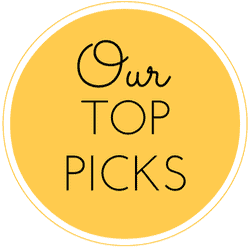 Well, we’re going to compare these two pianos amongst one another in this article and help you better determine which piano is more worthy of your time and money. Below, please use the interactive guide to not only compare the Yamaha P-115 against the P-255, but to other popular digital pianos as well. 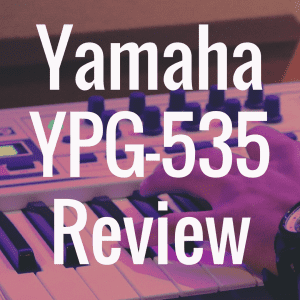 It should be noted that the “P” in the P-line (or Contemporary Digital Piano line) of Yamaha pianos is meant to stand for “portable.” These pianos are meant to be taken to and from practices and lugged around to shows, so you know they are going to be versatile instruments. The P-115 is not a very old piano at all. In fact, it only succeeded the P-105 with the past couple of years. As mentioned earlier, I feel the P-115 was and probably still is one of the most affordable digital pianos on the market. 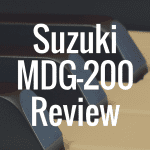 It’s great for performing and can be used by beginner and intermediate players. However, the P-255 has some features that musicians would want to try out too. 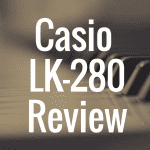 Read ahead to see how these two pianos compare and which one is best for you. One slight difference to pay attention to would be that the Yamaha P-255 is 5 centimeters deeper than the P-115. It also weighs about 11 pounds more too. These 11 pounds might make a difference for any musicians that will be commuting with this piano frequently. One thing to keep in mind, albeit small, is that if you currently own the P-115 and are planning to upgrade to the P-255, it’s worth noting that you may also have to upgrade your carrying case, as the P-255 is a bit bigger as mentioned above. Even though both the P-155 and P-255 have a built-in speaker system, they differ in size, placement, and wattage. The P-115 features a 7W amplifier, with two 12cm speakers, along with a tweeter. The P-255’s amplifier is twice as strong at 15W, with two sets of speakers on either side. Even though the P-115’s 192-note polyphony is ideal for any high-quality piano, the 256-note polyphony on the P-255 is reminiscent of that of the Clavinova flagship series. The P-255’s sound was deep and rich in comparison to the P-115. The tonal range is greatly expanded on the P-255 and it surpasses the P-115 in most, if not all, categories. The P-255’s string sound is nothing short of glorious. The notes blend well together and there are no audible gaps or inconsistencies when playing through a piece. There are two versions, including the “slow strings” that are elongated for a swelled sound that sounds magnificent when layered with a piano sound. While both pianos have a dual mode, the P-115’s strings sound lackluster in comparison. The strings are livelier and more vibrant on the P-255, which makes it a clear winner in this category. When it comes to choir sounds, there are few digital pianos that can pull off a sound that isn’t too synthesized. Digital pianos with such a choir sound make this feature a waste because it doesn’t sound realistic and I can’t see myself using it. The P-255, on the other hand, features a choir sound that inspires me to use it all the time. 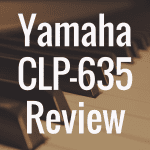 It’s a strong, effective voice that is great for layering with other instruments. This voice is not present on the P-115. I then used the split mode for the piano on the P-255. On the left hand side, I used a bass and cymbal voice and paired it with a piano sound on the left. Even though the P-115 offers a split mode, it didn’t offer advanced sounds like the cymbal and bass on one voice. This made for a wonderful jazz trio that would be perfect for solo performers who are looking to add a little something extra to their set. It was great accompaniment but there was extra attention given to the piano that didn’t make it get lost in other instruments. There is absolutely no competition between the P-115 and the P-255 in terms of sound. The P-255 is a clear winner, with a more powerful amplifier, giving it a heightened presence that makes the P-115 take a backseat. By itself, the P-115 has some great sounds with a decent polyphony that could satisfy a beginner or intermediate player. However, it cannot compare to what the P-255 has to offer in sound quality and features. If you’re a performer that’s looking to enhance your performances, the P-255 is a great piano for this purpose. The P-115 features the Graded Hammer Standard weighted keys in plastic. There’s nothing wrong with plastic, but when you get a feel for the P-255’s synthetic ivory key tops with the Graded Hammer effect, it’s a world’s difference. When you’re playing the P-255, you can feel how much closer, heavier, and less clunky it is, making the experience feel almost like playing a grand piano. Well, almost. Let’s not get too carried away here. Still, I lowered the volume on both the P-115 and P-255 to truly test the difference in keys. I was astounded to see that the P-115 produced some clacking noises, while the P-255 was so much quieter. This was a true testament to how improved the P-255 really is. One thing that made the P-115 really great was the “sound boost” option. When you’re performing with a band, it’s easy for the piano sound to be lost in the cacophony of the surround instruments. When you hit “sound boost,” there’s an added treble element that makes a difference. You can cut through the instruments around you and really be heard. What I like about the P-255 is that it features a professional level EQ with sliders that allow musicians to totally customize their experience. For those musicians with a highly trained ear, the sliders make the experience much better, as we can fine tune the EQ to our environment. In this case, the automatic “sound boost” on the P-115 isn’t that great because you either turn it “on” or “off”—there’s no real customization. By contrast, you get more flexibility with the P-255, which could make a difference in your overall performance. While both pianos can support a USB, only the P-255 allows you to play music from your device and hear it through the piano. I like that if you’re performing and you need to take a break, you can play something you previously recorded while you step away. You can’t do this with the P-115, and there’s no external input for other devices. On the right hand side of the P-255, there’s a USB port that makes this feature easily accessible and functional. The memory capacity on the digital pianos is quite different, as you can only record one song on the P-115. In contrast, you can record up to 10 songs on the P-255. In terms of sound selection, the P-115 has 14 voices to choose from, while we get an additional 10 with the P-255. With the P-255, you get an additional piano, electric piano, more strings, and my favorite, the choir. There’s also a stronger string resonance simulation on the P-255. String resonance refers to when you’re playing notes, and the hammers hit the strings to create a vibration. These vibrations affect the strings around the ones that are hit, which in turn should create a deeper, fuller sound. The P-255’s string resonance simulation makes pieces sound haunting and rich, while the P-115 doesn’t succeed quite as well in this area. It sounds dry in comparison to the P-255’s awe-inspiring sound and enveloping atmosphere. Is the P-255 worth the higher price tag? When it comes to buying a digital piano, your final decision can often come down to price. The P-115 is selling for $600, while the P-255 is almost double in price at $1,300. Before I tried the pianos, I wasn’t sure if the price difference would be worth it. If I can’t tell where the extra money has gone, I don’t see any reason to upgrade or choose the more expensive option. It’s important to know that more money doesn’t always mean better quality. With that said, when it comes to these two instruments, you can really hear where the extra money is going in the P-255. The power that the speakers and amplifiers supply is such a noticeable difference that it can almost feel like a night and day contrast. There are also more features to take advantage of, more sounds built-in, and a variety of technology features that are not present on the P-115. If you’re having a hard time deciding between the P-115 and P-255, the main driving factor will be how much money you’re willing to spend. The P-115 is a great piano—make no mistake about it. 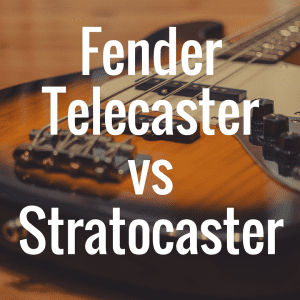 It’s a very popular instrument, a best seller at certain retailers, and is certainly the best of the bunch when compared to the P-35, P-45, and P-105. But, if you begin moving up the ladder, and you get to the P-255, I think one could make a salient argument that as far as Yamaha digital pianos go, the P-255 is the top of the line. The P-115 is a great piano for beginners and intermediate players, along with those who perform from time to time. I think the P-255 is ideal for those that are intermediate to advanced players, or those that are taking their piano playing (and perhaps performing) far more seriously and need an instrument that can match their dedication. Even though the P-255 is twice as expensive, you are getting twice the features with outstanding sound quality. Keep in mind that if you go for the P-115, you will outgrow it quickly if you’re dead set on learning how to play. 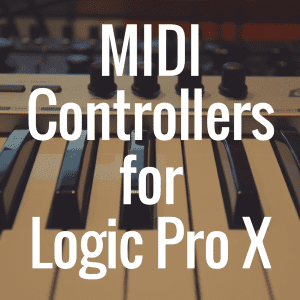 Once you become more experienced, you will want to move on to another digital piano. The P-255 is going to be a piano that you can grow with. In that respect, it might have more longevity than the P-115—at least depending on what you require from your piano. How to Play Piano Chords for Beginners?